The Santa Barbara County Sheriff's Department holds themselves to five core values, which are Integrity, Caring, Courage, Fairness and Service. They are proud to protect the people of the county. In 2016, the sheriff's deputies handled over 119,000 calls for service. The County of Santa Barbara covers approximately 2,700 square miles and has a population close to 443,000 people. 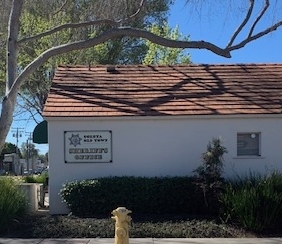 The Sheriff's Department is contracted to provide law enforcement services to the cities of Buellton, Carpinteria, Goleta and Solvang. They also cover the unincorporated areas of the county, the county jail system, superior court security and the coroner functions. The Sheriff's Office has over 600 employees and 150 volunteers at 25 work sites located in Santa Barbara County. There are currently 260 law enforcement deputies and 200 custody deputies. There locations are spread throughout the county. The Headquarters is in Santa Barbara near Goleta. They have 8 substations including Goleta, Buellton, Carpinteria, Isla Vista, Lompoc, New Cuyama, Santa Maria and Solvang. Also, there is an office on the Santa Ynez Band of Chumash Indian's Reservation. Within the department, they have several divisions, such as Sheriff/Fire Air Support Unit, K-9 Unit, Bomb Squad, Special Enforcement Team, Hostage Negotiation Team, Dive Team, Narcotics/Gang Enforcement Teams, Homeland Security Unit, Forensics Unit, Rural Crime Unit and Cold Case Unit. The Santa Barbara County Sheriff's believe in the importance of having open communication and cooperation with the community. Below are the 10 Sheriff's Stations located in Santa Barbara County. Please click on the station name for more information and a Google Map.